City of London Corporation; caused by the election of Common Councilman Emma Edhem to the Court of Alderman. For a rare Tuesday by-election we come to the western end of the ancient City of London. In medieval times London ended at the River Fleet, a tributary of the Thames which has now completely disappeared into London’s sewer network. However, the Fleet formed a natural first line of defence which was supplemented by London’s Roman walls and, from the Norman conquest onwards, Baynard’s Castle. The name refers to Ralph Baynard, who came over with the Conqueror and became Sheriff of Essex. He built a castle on the corner of the Fleet and Thames, next to what became (after Edward III moved his store of arms, personal items and clothing nearby) the church of St Andrew-by-the-Wardrobe. Baynard’s Castle was destroyed in the wars that marked the reign of King John, and a new castle was then built very close by on land which had been reclaimed from the river; this ended up in the hands of the Dukes of York, and became royal property when the Lancastrian king Henry VI was deposed. Richard III was proclaimed king here after having his nephew Edward V declared illegitimate; Henry VIII gave the castle to his first wife Catherine of Aragon as a wedding present; while the Privy Council met here in 1553 to proclaim their daughter Mary as Queen and end the ill-fated reign of Lady Jane Grey. The Great Fire of London destroyed Baynard’s Castle, and all remains of the mediaeval building had gone by the twentieth century. Its site was extensively redeveloped in the 1970s and is now occupied by the brutalist Baynard House, an office block occupied by BT. If you watched Mission: Impossible – Fallout when it came out earlier this year, you’ve probably seen Baynard House: Tom Cruise broke his ankle jumping off the roof of the building while shooting a scene for that film. Of course, it’s not just BT who are important players within the Castle Baynard ward. On the riverbank are the railway and Underground stations at Blackfriars, which bring thousands of people into the area every weekday. To the north-east, St Paul’s Cathedral lies within the ward boundary; while to the north-west the ward covers another of Wren’s churches, the wedding cake of St Bride’s, together with the area around Fleet Street. This was traditionally the home of London journalism, but the press have been priced out over the years – the last Fleet Street newspaper office, for the Sunday Post, closed in 2016 – and it’s now sandwich shops and financial institutions that rule the roost here. 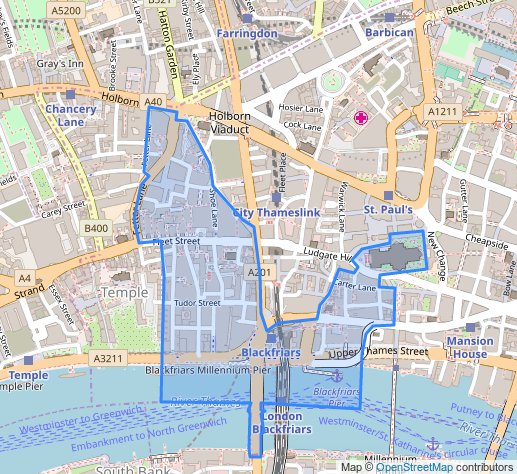 Boundary changes in this decade have expanded the ward into the Farringdon area, traditionally a district dominated by lawyers. 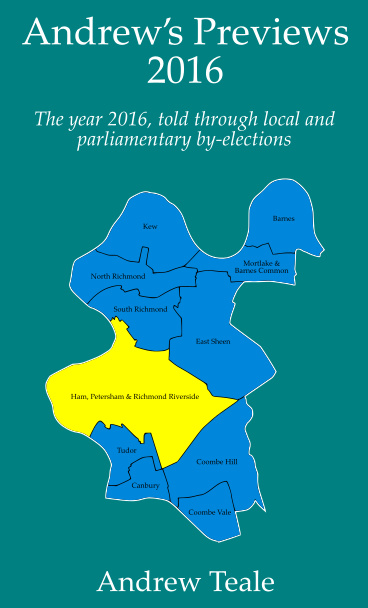 Under the City of London’s unique system of business voting, it’s electors nominated by businesses and sole traders within the ward who will elect the winner of this by-election – there are very few people who actually live here. The Corporation of London has non-partisan politics rather like a largish parish council; despite Labour having won a few seats on the Court of Common Council in recent years, political parties are generally not important in the City’s elections. So this by-election will provide a breath of fresh air from the polarised politics of the modern day – although, as we shall see, there are some party political figures here despite the “Independent” ballot paper description. The business voters here certainly can’t complain that they don’t have choice: there are eight candidates for this by-election, which is the longest ballot paper in an English local by-election for a single vacancy since February 2017 (when eight candidates stood for Dinnington ward in Rotherham). Many of these names will be familiar to City watchers. Timothy Becker may be at the top of the ballot paper but he has made a habit of finishing at the bottom of City local by-election results: he was last in Bishopsgate ward last November and in Billingsgate ward in March this year, on the latter occasion polling just six votes. Merlene Emerson may be on the ballot paper as an independent, as is traditional in the City, but she is a prominent Liberal Democrat: of Chinese extraction, Emerson is a City solicitor turned mediator who fought Hammersmith in the 2010 general election, and she was appointed MBE in the 2016 Birthday Honours for political and public service. Richard Humphreys, who commutes into the city from rural Northamptonshire, is a QC specialising in public law. Two candidates give addresses in the City of London, on the Barbican estate: barrister Natasha Lloyd-Owen is an official Labour Party candidate, while Deborah Oliver works in corporate relations and communications and was recently appointed to the City of London Police Committee. They sandwich on the ballot paper Julian Malins, the younger brother of the former Tory MP Humfrey Malins; Malins junior was the Conservative candidate for Pontefract and Castleford in the 1987 general election and is a barrister and Crown Court recorder who has represented Elton John and Lord Archer in libel cases, and more recently conducted an investigation into Cambridge Analytica just before it went bust. Malins is trying to get back onto the Common Council after losing his seat in Farrington Without ward in last year’s City elections. Those elections also saw Alpa Raja missing out in Castle Baynard after coming ninth out of nine candidates, with the top eight winning; Raja is back for another go. Completing the ballot paper is another former Common Councilman who lost her seat in 2017, Virginia Rounding who is an author, literary critic and Clerk to the Worshipful Company of Builders’ Merchants. Good luck choosing a winner out of that field.